JRPG Jungle: New Info On Final Fantasy Explorers - Classes, the World of Amostra and More! New Info On Final Fantasy Explorers - Classes, the World of Amostra and More! 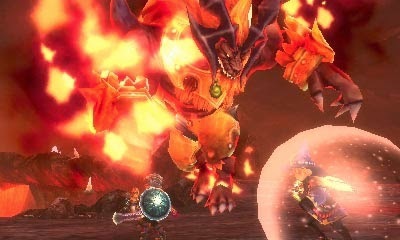 Photos from the Final Fantasy Explorers official website. 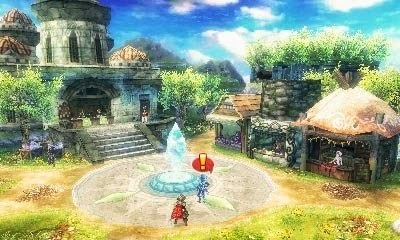 With the recent appearance of an official website for Final Fantasy Explorers, more information has come to light about the upcoming 3DS game, along with some cool screenshots which you will see in this post. Each of these classes will have their own ability sets to learn. Abilities will be interchangeable between classes after you have learnt them, there is a catch though - if you are to use an ability from a foreign class (let's say a White Mage uses a Black Mage ability), you have to pay the full cost of points every time you use it. In contrast, if you use an ability that is native to your class (Black Mage uses a Black Mage ability), you can enjoy paying half the cost price. Along with being able to switch abilities around, you will also be able to change your Weapon, Armour and Accessories. 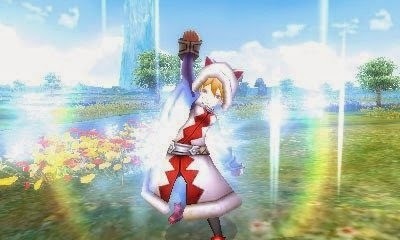 Final Fantasy Explorers has been talked about as a 3DS game with a multiplayer function, however you can play solo too. Parties will feature four members, which can include friends, monsters and other things depending on the situation. It has also been revealed that in battle, your party members positioning is important to keep in mind. In Final Fantasy Explorers, you can look forward to exploring the world of Amostra. The island of Amostra was created by the Earth's crust moving at a quick pace and beneath it's surface are Crystals. 'Explorers' come to island to gather these crystals, which are guarded by the beasts that inhabit the island. 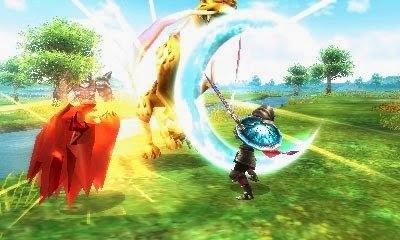 As of yet, a localisation of Final Fantasy Explorers for the West has not been announced although a U.S. trademark for the game was filed recently. Thank you Siliconera for translating/writing this article about Famitsu's Final Fantasy Explorers news and for Gematsu for their article covering the info from the Final Fantasy Explorers website.